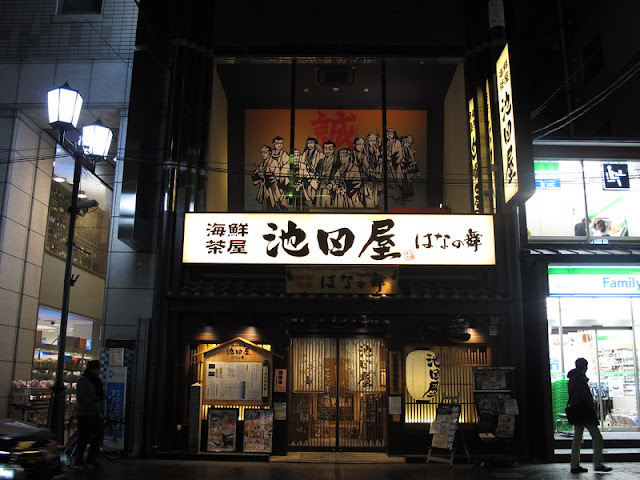 Aside from the various players of the Sengoku era, there few people in Japan’s history that command as much pop cultural fascination as the Shinsengumi. A small group of rōnin charged with policing Kyoto during the violent final years of the Tokugawa shogunate, the Shinsengumi quickly rose to fame (and infamy), and in the 150-odd years since their time, they’ve been the subject of numerous games, manga, anime, films, TV shows, and books. Walk through Kyoto, and almost every souvenir shop you see will have Shinsengumi works on sale. Idea Factory’s excellent Hakuoki series, which recently saw a new release in Hakuoki: Kyoto Winds, is perhaps the best-known Shinsengumi work available in English (and, conveniently, one of the most historically accurate). Nobuhiro Watsuki’s manga Rurouni Kenshin isn’t specifically about the Shinsengumi, but it’s based on the aftermath of that period of time and includes certain members of the group in key roles. Other manga, Peacemaker and Kaze Hikaru, present a more direct adaptation of Shinsengumi history. 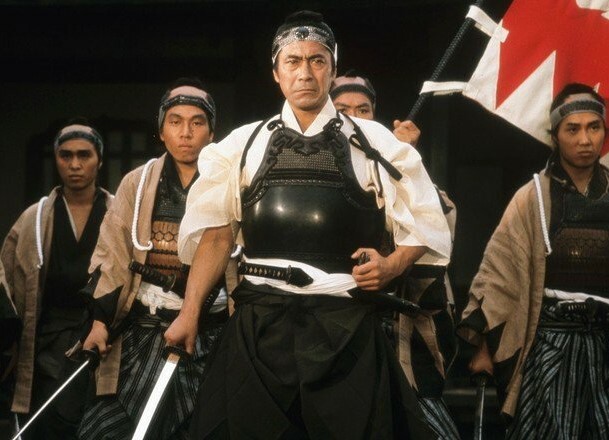 Among the many films of famed samurai actor Toshiro Mifune was Shinsengumi: Assassins of Honour, and in 2004, NHK did a year-long drama series about the group starring members of idol group SMAP. Most of these works embellish the story of the Shinsengumi to a lesser or greater extent, often romanticising but occasionally demonising the group. They’ve become almost mythical in their widespread appeal, but beneath all of the romanticism is a group of real people – people who, depending on your perspectives, and the attitudes of the historians you choose to read, are either the noble heroes of a dying era or a gang of ruthless, violent killers who policed Kyoto with an iron fist. As is so often the case with historical figures, there are seeds of truth in both sides of the coin. In the mid-1800s, after centuries in power, the once proud Tokugawa Shogunate (or Bakufu) was starting to lose the trust of the people of Japan. Social unrest was growing in the face of economic struggles and class disparity, especially in domains like Chōshū and Tosa, which the Bakufu kept at arm’s length from political benefits. Things came to a head in 1853, when the US Navy’s Commodore Matthew C. Perry showed up in Edo (modern-day Tokyo) to demand, under threat of force, that Japan end its policy 200-year-old policy of national isolation and open ports to foreign trade. Powerless in the face of this gunboat diplomacy, the shogunate agreed. In 1863, shogun Iemochi Tokugawa travelled from Edo to Kyoto to meet with Emperor Kōmei and discuss his edict. For Tokugawa’s protection, the Bakufu established a rōnin squad of its own, called the Rōshigumi. Among the 250 or so warriors were a few names that you might recognise: Isami Kondō, Toshizō Hijikata, Sōji Okita, Shinpachi Nagakura, Genzaburō Inoue, Heisuke Tōdō, Sanosuke Harada, Keisuke Yamanai (also known as Keisuke Sannan), Nishiki Niimi, and Kamo Serizawa. As it turns out, the founder of the Rōshigumi was secretly an Imperial supporter, and shortly after their arrival in Kyoto he ordered that they return to Edo. However, a few of the Rōshigumi defied that order and stayed in Kyoto. With the support of the Bakufu-appointed “Protector of Kyoto”, Katamori Matsudaira, they set about policing the city. Thus, the Shinsengumi – “Newly Selected Corps” – was born. To make matters worse, the Shinsengumi quickly earned a reputation as violent thugs who abused their authority with impunity. They became known derogatorily as the “Wolves of Mibu” (in reference to the town of Mibu, in southern Kyoto, where they were based), and they inspired as much fear in civilians they were meant to be protecting as they did in their enemies – arguably more so. It didn’t help that this aggressive behaviour went all the way to the top, with Serizawa becoming particularly infamous for his short temper and tendency to incite drunken brawls. In one well-known incident, he started with members of a sumo stable – allegedly because they didn’t give way to him in the street – which left 10 dead and many more seriously injured. 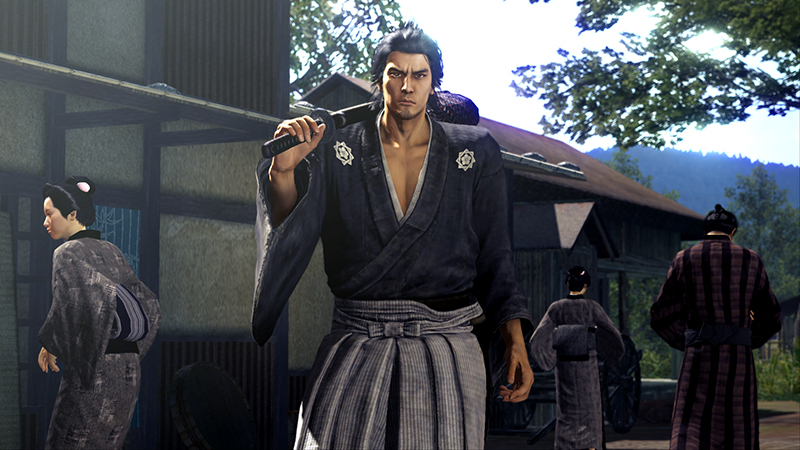 Nishiki, meanwhile, got caught extorting money from geisha houses, and was made to commit seppuku. In an effort to clean up the Shinsengumi’s reputation, Hijikata introduced a strict set of regulations. 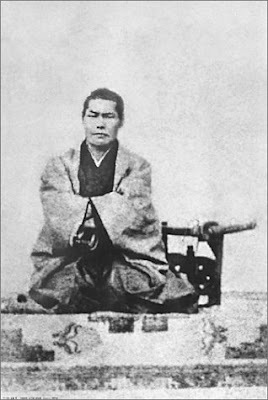 Under these rules, Shinsengumi members were prohibited from deviating from bushido, deserting the Shinsengumi, raising money privately, taking part in others’ disputes, or engaging in private fights; anyone who broke the rules would be order to commit seppuku. 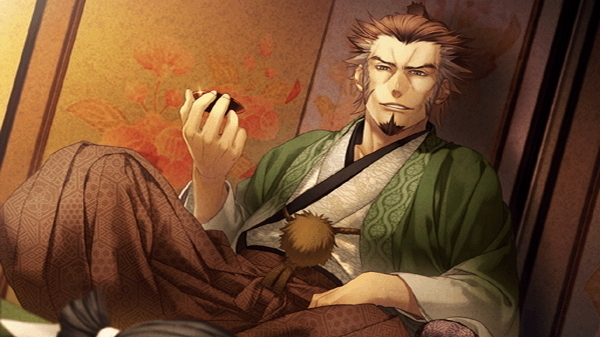 Hijikata enforced the regulations with an iron fist, earning the nickname “Demon Vice-Commander”. Between the factional rivalry and poor reputation of the Shinsengumi, things became increasingly tense. 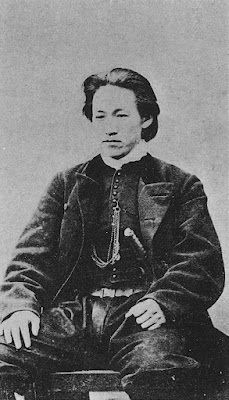 Around September 1863, Matsudaira deemed that Serizawa’s behaviour was a liability, and tasked Kondo’s faction with assassinating him. Accounts of exactly what happened are conflicted – some say he was attacked within the group’s headquarters in Mibu, others say he was taken out to a banquet and killed amid drunken frivolities. What is clear is that with the death of Serizawa and purge of his supporters, Kondo became the sole commander of the Shinsengumi. Hijikata became vice-commander and Yamanami became the general secretary, and the rest of the Shieikan students – Okita, Nagakura, Saito, Inoue, Tōdō, and Harada – took their places as captains of the Shinsengumi’s different units. Still, the damage had been done, and the Shinsengumi’s reputation was tarnished, but things started to look up the following year. In June, an investigation led to the arrest of Shuntaro Furutaka, a shishi sympathiser who had been cooperating with rebels from Chōshū. After a painful interrogation at the hands of the Demon Vice-Commander, Furutaka revealed that the Chōshū were plotting to burn the whole city to the ground, use the chaos to kidnap the Emperor, and then take him back to the Chōshū lands in the west. That same night, assuming the rebels would be meeting to discuss Furutaka’s arrest and what to do next, the Shinsengumi prepared for a raid. They split into two groups, one led by Kondo and the other by Hijikata, and began searching establishments known to harbour shishi. Kondo’s group found them at an inn called Ikedaya; at around 10pm, Kondo, Okita, Tōdō, and Nagakura stormed the place. Hijikata and his group turned up a short time later, having caught wind of what was happening at Ikedaya. Most joined the fray, but Hijikata himself remained outside, blockading the street – not to stop escapees, but to prevent Matsudaira and his men from getting involved. You see, the Protector of Kyoto had ordered the raid, but failed to offer the Shinsengumi any support despite their numbers being heavily reduced to injury and illness. He’d be damned if Matsudaira’s soldiers were going to show up late and take credit for the victory. The whole battle lasted around two hours, resulting in the deaths of seven Chōshū rebels and arrests of 23 more. For their part, the Shinsengumi suffered minor losses; one soldier was killed at the scene, two more died shortly thereafter, and a few others were injured. After that incident, Emperor Kōmei officially declared the Chōshū as enemies of the throne, and the Shinsengumi members who’d taken part in the raid all received a bonus from the Bakufu. More importantly, they’d shown Kyoto that, violent tactics notwithstanding, they were acting in the city’s best interests. With their newfound popularity, the Shinsengumi saw an influx of new recruits. Having outgrown their accommodations in Mibu, they sought a new headquarters, and in early 1865, they settled into Nishi Honganji temple. They weren’t invited into the temple, mind you; in fact, most of the monks sided with the shishi and opposed the move, but the Shinsengumi had decided that this is where they would live. Allegedly, this didn’t sit well with Keisuke Yamanami, who was the group’s general secretary and roughly equal to Hijikata in rank. Yamanami attempted to leave the Shinsengumi – perhaps because of his concerns about Nishi Honganji, though we’ll never truly know – and, per regulations, he was ordered to commit seppuku. Nonetheless, the Shinsengumi continued to police Kyoto in the following months and years, violently shutting down shishi activity wherever they found it. Their efforts didn’t go unnoticed by the Bakufu, and in 1867, all members were made hatamoto – samurai in direct service to the shogun. In practice, it didn’t make much difference to their day-to-day policing activities, but the significance of it can’t be overstated. Kondo, Hijikata, and most of the Shinsengumi captains weren’t of the samurai class by birth; they were farmers and merchants. Despite their rank, they dreamed of serving their lords and country as samurai, and in an era when social mobility was exceedingly rare, they managed to do just that. 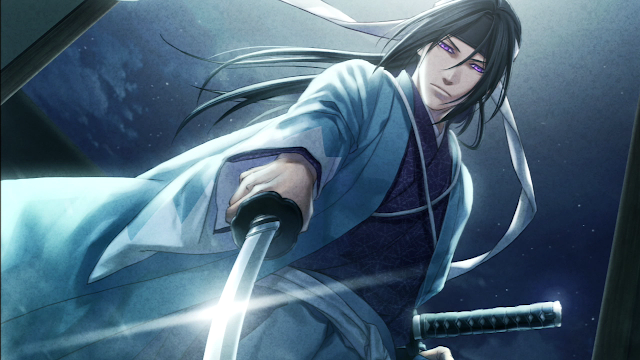 For all their achievements, however, the Shinsengumi were still the “Wolves of Mibu” to many. Anti-Bakufu sentiment continued to grow throughout the 1860s, and the Shinsengumi’s ruthless methods of keeping peace – though arguably necessary, given the violent approach favoured by the shishi – didn’t sit well with a lot of people. Both the pro- and anti-shogunate forces believed they were fighting for the good of Japan, doing what was necessary to save their country, but their ideological divide put Kyoto on the cusp of all-out war. Amid this ever-increasing conflict, the Shinsengumi started to crack. In 1867, following the death of Emperor Kōmei, a few members were permitted to leave to form the Goryo Eji, or Guardians of the Emperor’s Tomb. The group was established by Kashitaro Ito, who had joined the Shinsengumi in 1864, and Tōdō Heisuke went with him. Hajime Saitō also joined the Goryo Eji, but it’s believed that he did so on Hijikata’s orders to be a mole. The departure was amicable, but the tides of war brought the Shinsengumi and Goryo Eji into conflict later that year, prompting the Shinsengumi to assassinate Ito and destroy his group. Apparently, Kondo had ordered the people involved in the attack to spare Tōdō should he be there, given his history with the Shinsengumi leadership, but Tōdō was killed by a new recruit who didn’t recognise him. While all this was going on, the shishi continued to grow stronger in the shadows, thanks in no small part to a man called Ryōma Sakamoto. A rōnin from Tosa domain, Sakamoto had grander visions for the future of Japan than perhaps any other revolutionary. He didn’t buy into sonnō jōi, but instead saw trade and cooperation with Western powers as vital for Japan to preserve its sovereignty, having seen what happened to places like China and India when they tried to oppose British colonialism. He dreamed of a Japan with an American-style democracy, where classes didn’t exist and everyone was equal, and where Japan could benefit from Western advances in military tactics and technology. The biggest obstacle to his dream was the Bakufu, though, so he and the shishi had a common enemy, and he was instrumental in negotiating an alliance between the Satsuma and Chōshū domains – who had been enemies for hundreds of years – that eventually toppled the Shogunate. It’s not known whether Sakamoto ever fought directly against the Shinsengumi. Nonetheless, they were on opposite sides of the conflict, so when Sakamoto was killed in late 1867, all fingers pointed to the Shinsengumi. Sakamoto had helped orchestrate the official dissolution of the shogunate just a few weeks earlier (though the Meiji Restoration wouldn’t take hold in earnest for another few years), so his death came as a shock to the nation. Between the assassination of Sakamoto, the end of the Tokugawa shogunate, and provocation from Satsuma forces, the civil war that had been on the horizon for years finally broke out in full. In early January 1868, Pro-Bakufu forces, including the Shinsengumi, clashed with imperial loyalists in Toba-Fushimi, south of Kyoto. The shogunate’s supporters greatly outnumbered the imperialists, but the latter had spent years amassing advanced Western firearms and decisively won the battle, forcing the Shinsengumi and their allies to retreat to Osaka. This was the first time in their short history that the Shinsengumi had ever lost a battle, and Hijikata is said to have remarked that “the age of swords and spears is over”. With Kyoto lost to the imperialist forces and the former shogun having fled back to Edo, what was left of the Shinsengumi also returned to the capital. What would become known as the Boshin War continued to rage across the country, with the Shinsengumi (who had been renamed Koyochinbutai) and other pro-Bakufu forces losing battle after battle. In April 1868, Kondo was captured by the imperialists and, charged with the assassination of Sakamoto, was beheaded. (Another pro-shogunate group called Mimawarigumi later took credit for the attack on Sakamoto, but it was too late). In some sense, Kondo’s death marked the end of the Shinsengumi; in another sense, the group died with Hijikata at the Battle of Hakodate in May 1869. Days after Hijikata’s death, the pro-Bakufu forces surrendered, bringing an end to the Boshin War and allowing the Meiji Restoration to begin in earnest. When all was said and done, the Shinsengumi was around for less than a decade, and few survived beyond the Boshin War. Despite that, their image captured the imagination of historians, authors, playwrights, manga artists, and game developers, and continues to do so to this day.